Make your mark on campus with a gift that supports future Campus Arboretum development, research and education. There are many opportunities available for you to become part of UA heritage while providing significant support for preservation of its beautiful landscape. Your sponsorship not only preserves a personal heritage on campus, it also provides the means for continuing arboretum programs including tree planting, student educational projects and research. These funds promote ongoing environmental conservation research for urban landscapes and perpetuate the distribution of educational resources in support of tree care and environmental stewardship. For more information on sponsorship opportunities see the Sponsorship and Naming Menu or contact the Campus Arboretum Director, Dr. Tanya Quist Ph: (520)621-7074 or E-mail: infoarboretum@arizona.edu. 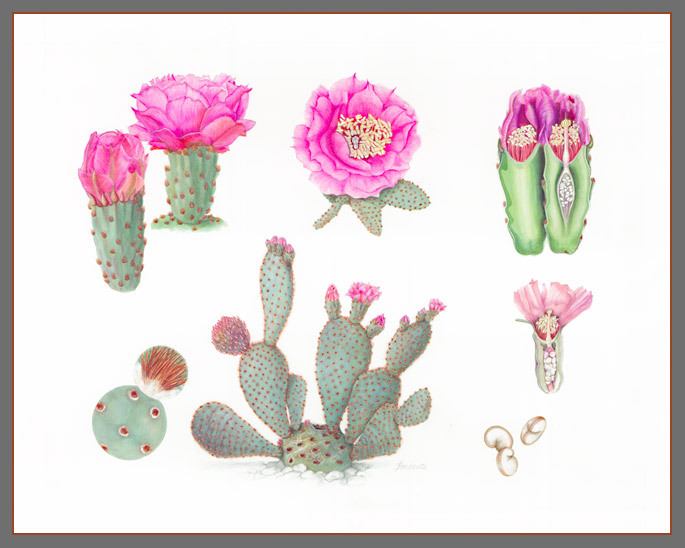 The Campus Arboretum has established a Florilegium of the Joseph Wood Krutch Garden by working with the Sonoran Desert Florilegium Program to collect and create botanical art that documents the scientific and aesthetic value of the Krutch Garden native plant collection. Help us establish a complete collection through sponsorship. With your financial contribution, the Campus Arboretum will purchase or commission the production of additional pieces until scientific illustrations of all the species in the Joseph Wood Krutch Garden are preserved. Each of these beautiful 16"x20" works can be sponsored for $750. Donate now! Be sure to specify "Florilegium" in the memo of your check or in the memo field of the UA Foundation Online donation form. Any amount is welcome. If your contribution is less than $750, we will tally donations until we reach $750 at which time we will purchase one piece for the florilegium. There are only a few opportunities to sponsor campus gardens with significant historical value. 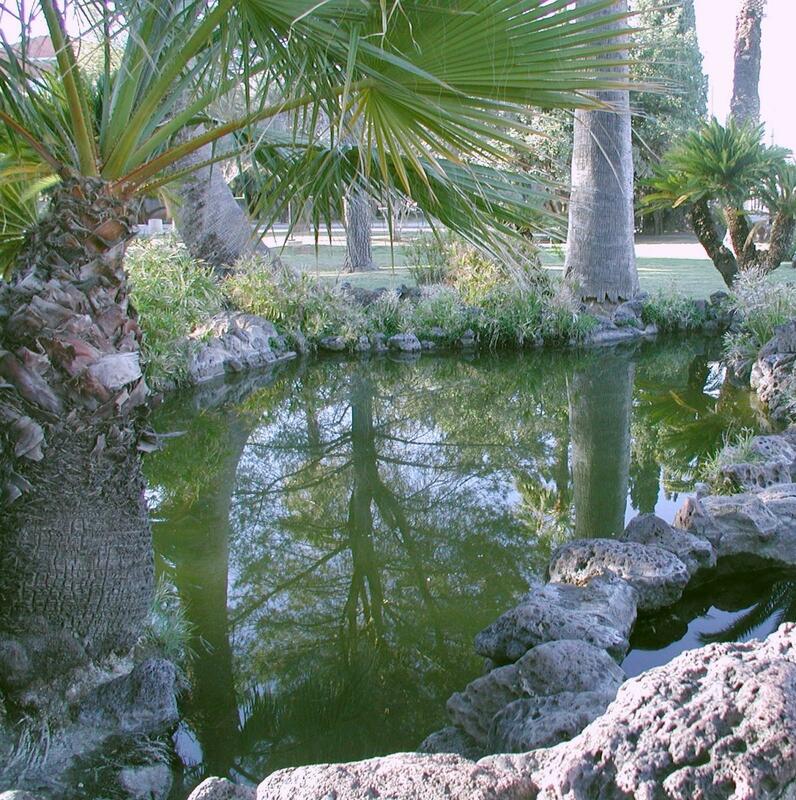 The President's Pond (often referred to as "the turtle pond") is one of those rare opportunities. Join us in our campaign to preserve and enhance this important historic campus feature, and valuable community retreat. Read the project summary here. A Sponsored tree is a living memorial and celebratory tribute. Trees live longer than we do. They reflect qualities humanity aspires to achieve. Trees are resilient to stress, adaptable to change and majestic in form. They are fundamentally important to all life on earth, contributing in magnificent ways to our environmental, social and emotional health and often do so in ways that are humble, quiet and not always adorned with the bold or showy appearance we might expect for such a grand contributor. Planting a tree is a truly a gift that keeps on giving and a grand gesture of altruism. Celebrate and remember, sponsor a tree today! In collaboration with the Campus Arboretum Director, you will select an available tree or a site for a new tree installation. A personalized inscription on a brass plaque accompanies each tribute gift. This plate publicly recognizes your generous patronage and commemorates a loved one. With your sponsorship donation, a hand forged iron bench, made by a local artist will be produced. 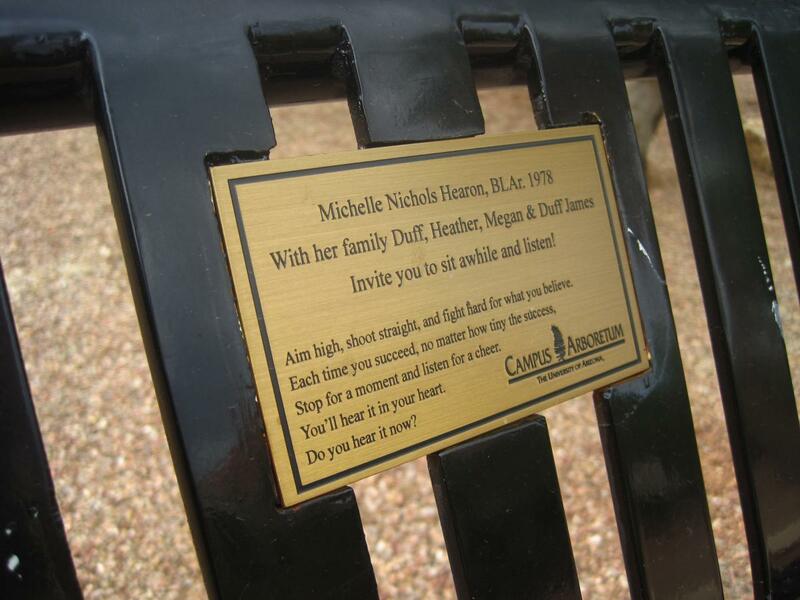 Each of these benches will receive a brass plate personalized with your inscription. This plate publicly recognizes your generous patronage and commemorates a loved one. In collaboration with the Campus Arboretum Director, donors may also participate in selecting a suitable campus location. These sponsored benches provide a lasting tribute representing our personal heritage and special ties to the campus and community.